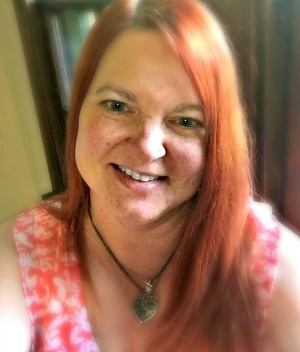 Welcome back to Day 36 of Freedom from Clutter in 40 Days. Only a few more days to go! If you are tired of the burden of clutter in your home then this series is for you. Day by day we are getting rid of the items that weigh us down, slow us down, and get in the way of having time to spend with our families. 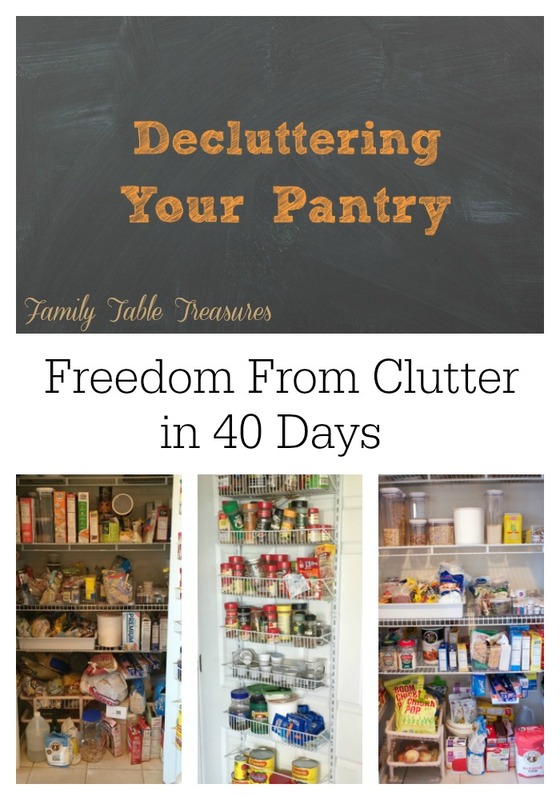 Nicole from Family Table Treasures is back today to share her pantry decluttering strategy. We have been working on the kitchen all week and we have saved the best (or is that worst?) for last. The pantry of a real food home should be packed with lots of whole food ingredients for you to use to create meals for your family. Often though, it is full of half-used and certainly forgotten food. 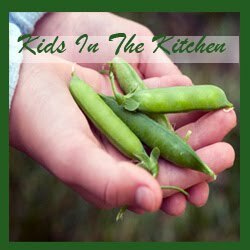 We shop and shop and shop and often forget what we have packed into the pantry. After reading Nicole’s strategies, I challenge you to prepare some meals using only items you found in your pantry. Leave me a comment and let me know what you were able to create from your pantry. It’s a great strategy to both clean up and save some money on your grocery budget. Can’t wait to hear from you! Now, on to Nicole’s post on Decluttering Your Pantry.